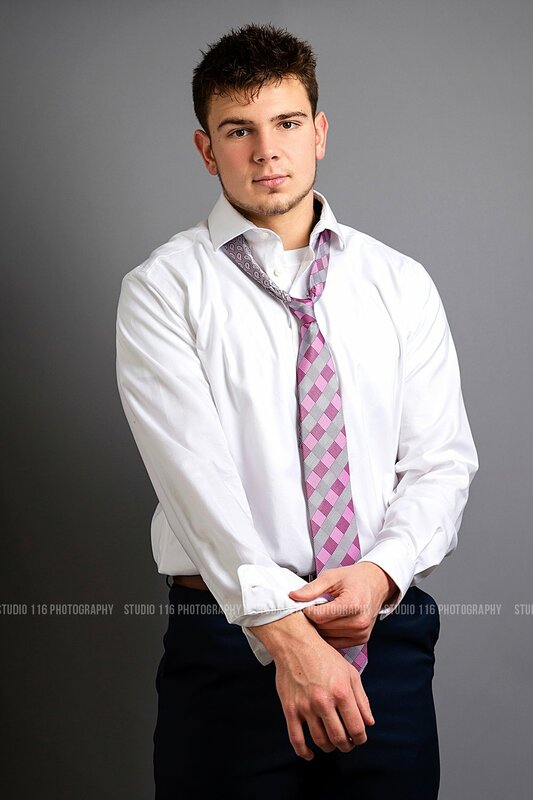 Anthony is a senior at Hamilton Southeastern and truly one of the funniest guys I’ve had the pleasure of photographing! We laughed through his entire session. I loved being able to highlight his love for football and his sweet “One Day I Will” about being a dad. You’re incredible, Anthony! 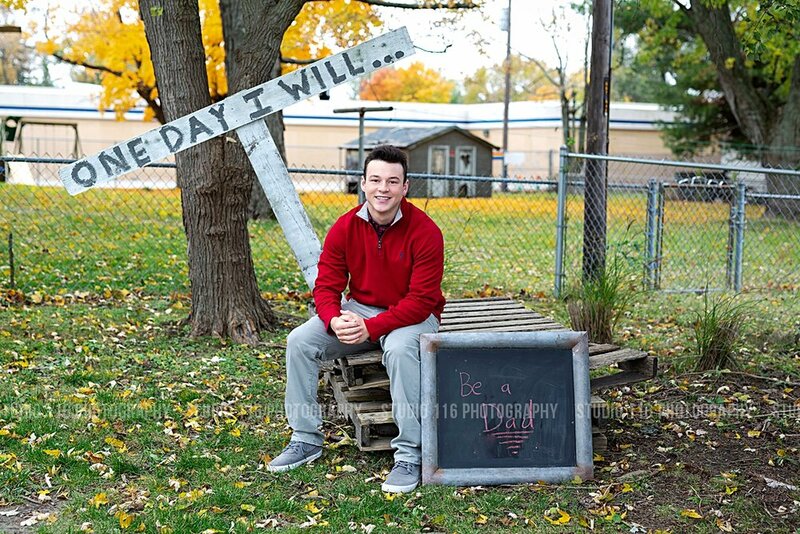 Andrew is a senior at Hamilton Southeastern who loves to play football! He is such a gentleman and was so kind during his entire session. I photographed Andrew’s brother, Matthew, a couple years ago and it was crazy to see how much they resemble one another through the lens. You’re headed to such a bright future, Andrew! Nate is a senior at Hamilton Southeastern who plays football and was truly such a joy to photograph! I loved how he was up for anything and brought such a fun smile and infectious spirit to his session. Thanks for bringing your positive attitude and upbeat energy to your shoot, Nate! Crae is a senior at Hamilton Southeastern who loves to play football and wrestle. It was so fun to head to HSE with him to capture some images in the locker room and on the football field. It is so evident Crae has such a passion for the sport and really loves what he does. Not to mention the fact we had so much fun when his sweet puppy came to be in a couple pictures. Thanks for such an awesome session, Crae! 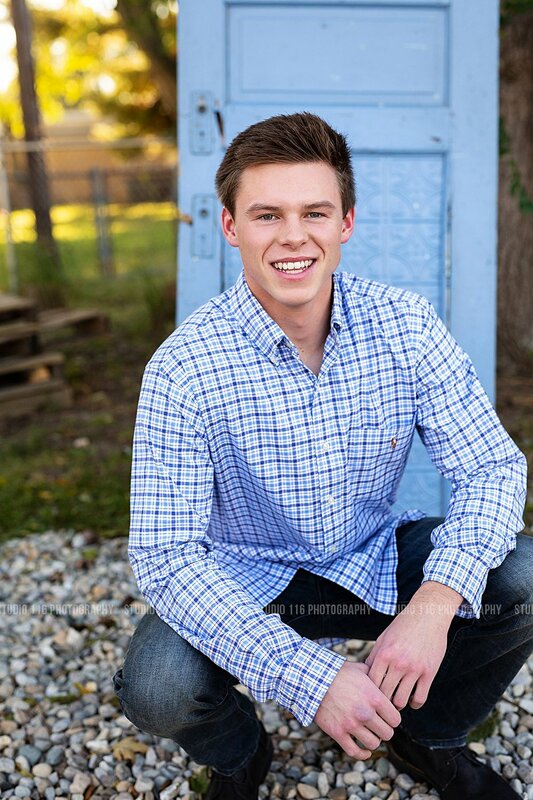 Matt is a senior at HSE who plays doubles tennis! I loved photographing his love for playing guitar during his session. Matt gave me so many different looks during his shoot, from laid back and casual, a suit and tie, as well as his high school letter jacket. Thanks for such a great session, Matt! 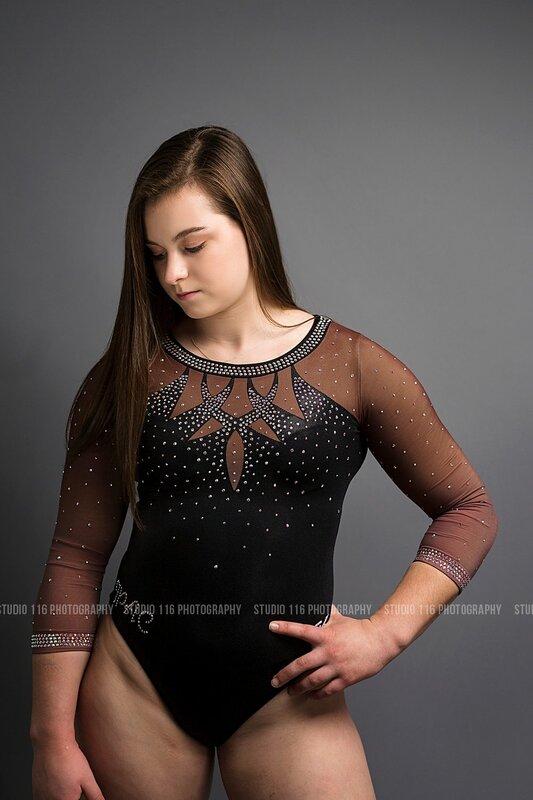 Haydn is a senior at Carmel High School, headed to Eastern Michigan next year on a full ride scholarship for gymnastics! Haydn has also won a gymnastics national championship. When she’s not busy with gymnastics she loves to spend time hanging out with family and friends and listening to her favorite artist, Post Malone. Thanks for such a fun session, Haydn! I can’t wait to hear about your success at Eastern Michigan! 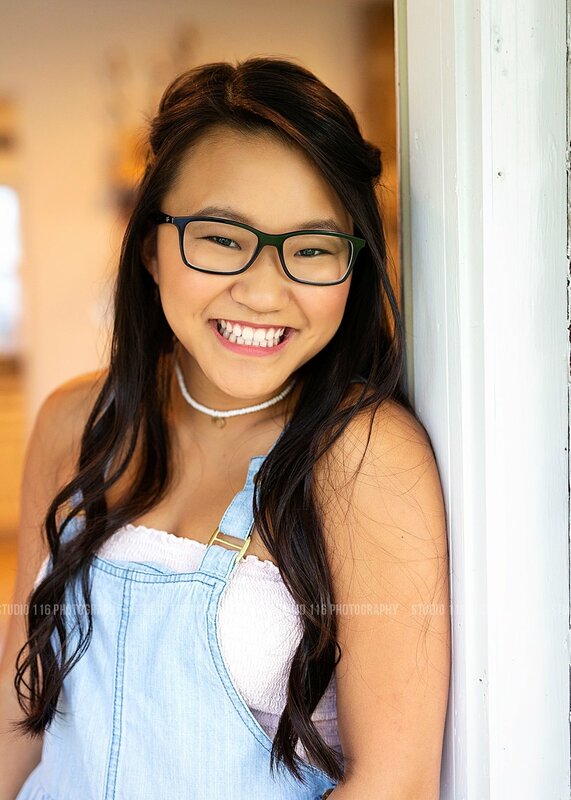 Chloe is a senior at Cathedral High School and absolutely ROCKED the denim on denim during her session! She has such a beautiful confidence about her and a smile that can light up any room. I had so much fun photographing her! You’re incredible, Chloe! 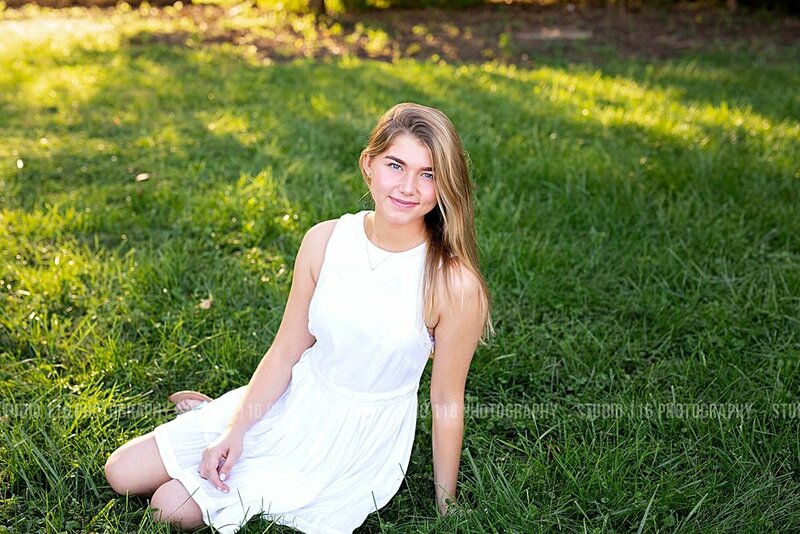 Caroline is a senior at Cathedral High school who really let her sweet nature shine through her session. She is so kind and genuine, and this was so evident to see through the lens. I loved her dream of living abroad one day! You’re headed for such a bright future, Caroline! 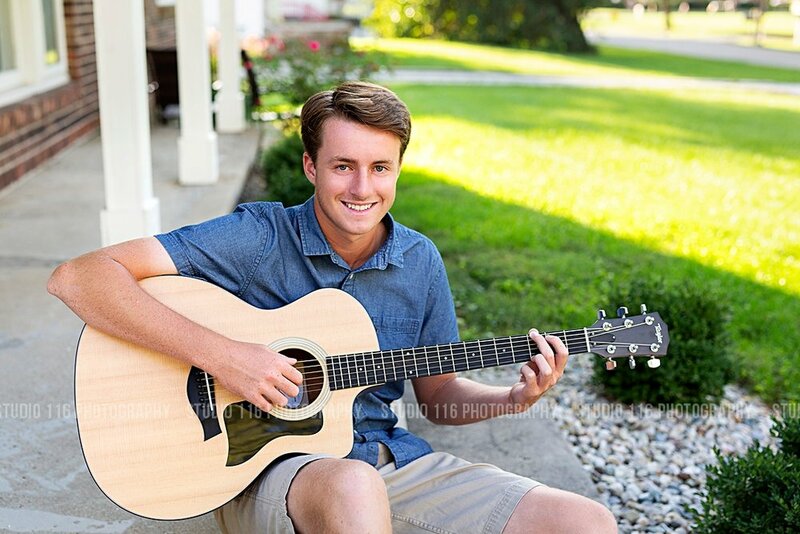 Cam is a senior at Hamilton Southeastern who loves to play baseball! I loved capturing images that showcased his love for the sport, as well as his long hair. Cam shared in his “One Day I Will” that he wants to race a car one day. You’re awesome, Cam! Mia’s session was a blast as two of her best friends, Elyse and Silvana, tagged along to enjoy the experience together and to make Mia laugh! 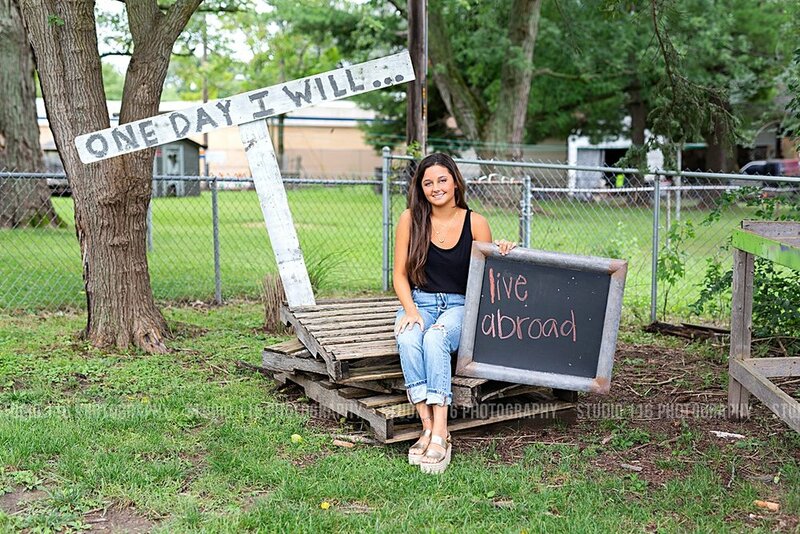 Mia is a senior at Hamilton Southeastern and was truly up for anything during her session. She even climbed into small spaces just for a laugh and to really enjoy the moment. 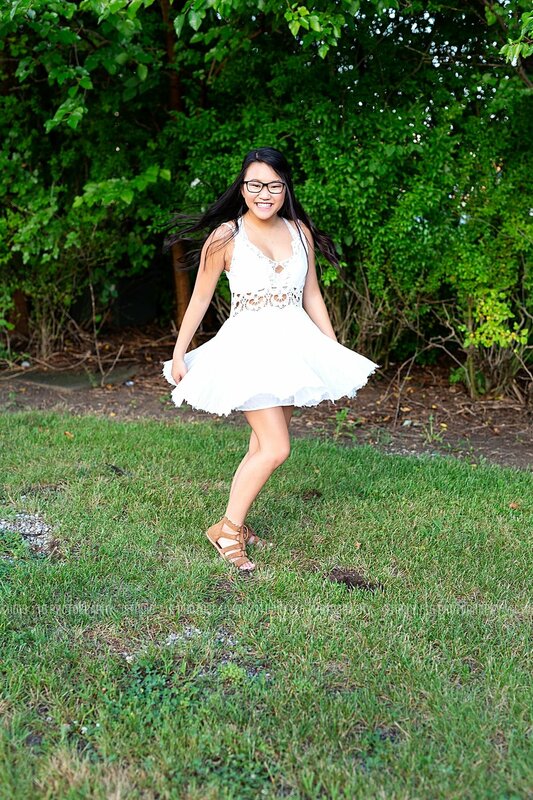 Thanks for such a fun session, Mia!